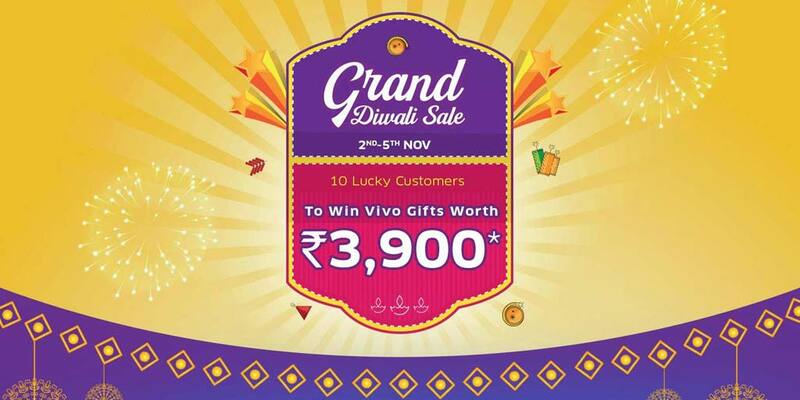 Vivo announces Grand Diwali Sale in India with exciting offers on its range of smartphones on Vivo E-Store. The sale is already live and valid till 5th November 2018. Under this Diwali sale, buyers can avail exciting deals and discounts on newly launched various Vivo smartphones that includes Vivo V9, Vivo V9 Youth, Vivo V11, V9 Pro and Vivo Y66. Find the deals and discounts in detail below. Apart from the price cuts, buyers can avail offers on HDFC Credit credit cards, No Cost EMI, One-time screen replacement on select models, EMI, Free accessories etc. on purchase of Vivo smartphones. Vivo also said that, 10 lucky customers get a chance to win Vivo gifts worth ₹3,900. Furthermore, buyers can also play the game of ‘Spin and Win’ to avail additional discount coupons upto ₹2,000, and free BookMyShow movie vouchers worth ₹500. All these offers are valid only on Vivo E-store.